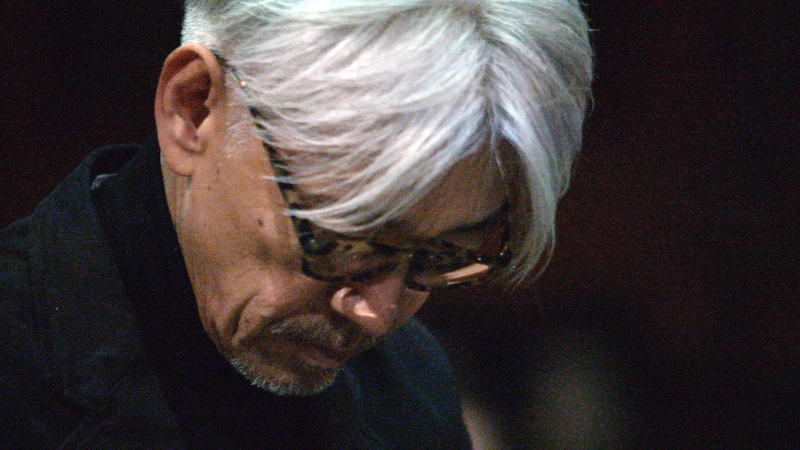 Academy Award-winning composer, environmental activist, mad (musical) scientist: Ryuichi Sakamoto is a one-of-a-kind artist who consistently reshapes and redefines whatever medium he chooses to master. 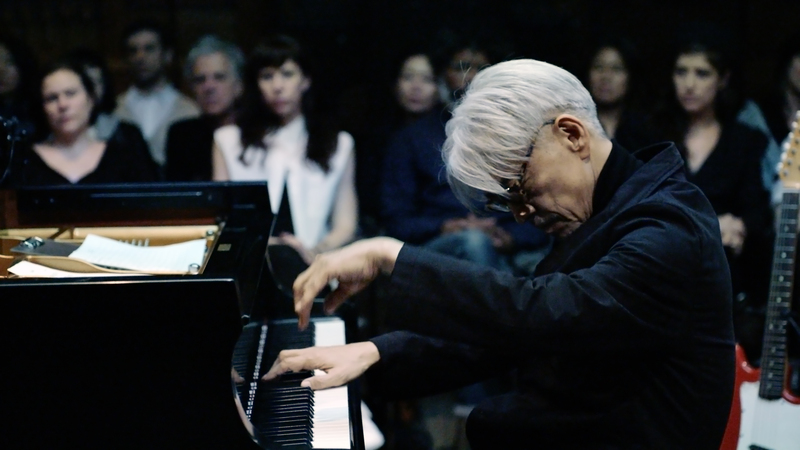 In this unabashedly avant-garde concert film, director Stephen Nomura Schible attempts to cover Sakamoto’s shape-shifting process through carefully planned zooms and pans. The result is a furious conjuring of competing audio frequencies. Surrounded by 360 degrees of audience members patiently studying every detail and movement, Sakamoto moves meticulously between instruments like a chef experimenting with different ingredients. 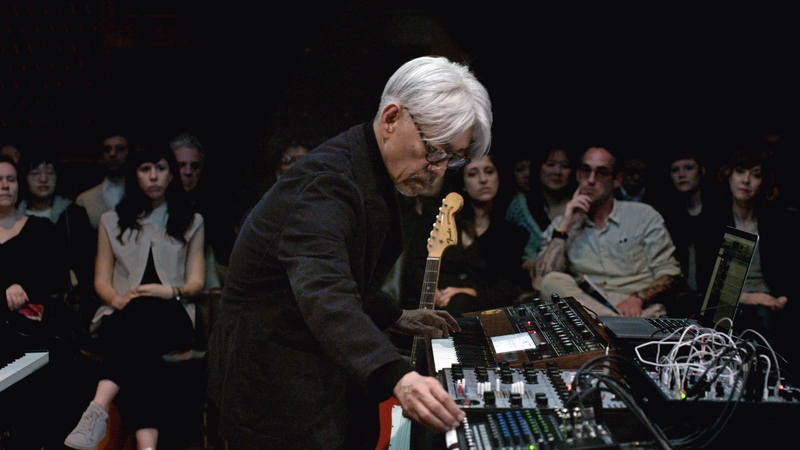 His dynamic new one-man symphony – titled async – exists as a cinematic score to an unmade Andrei Tarkovsky film, one of Sakamoto’s key influences. 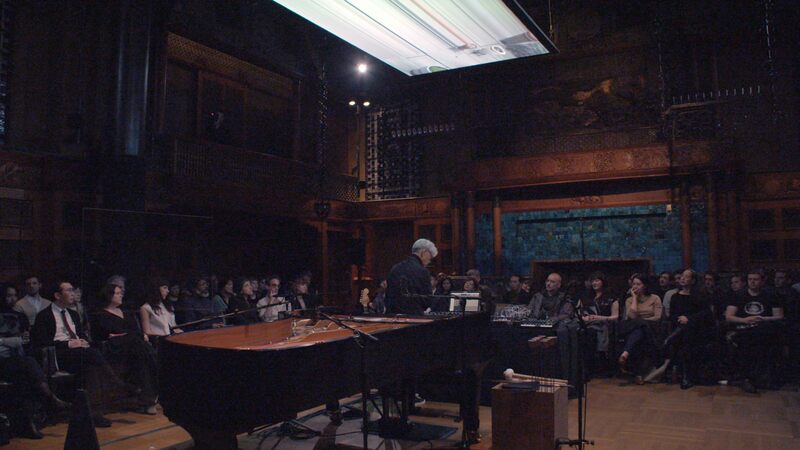 Flanked by recorders and synthesizers, Sakamoto’s open-faced piano functions as the visual centerpiece. 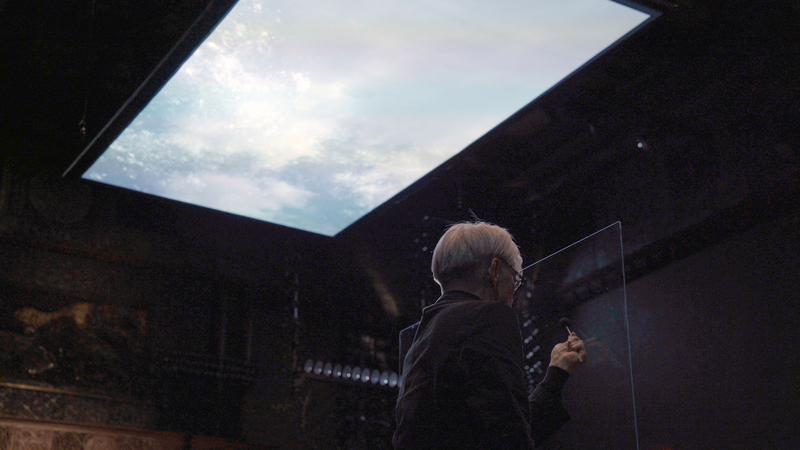 Rampaging distortions, jarring reverb, and hypnotic chimes seem to dance in unison with a massive screen positioned directly above Sakamoto’s instrumental landscape, breaking down the boundaries of traditional performance spaces. As flickering vistas and melting shapes project from on high, audience members find themselves caught between the two dancing formats. What stands out most from this carefully propulsive musical set is Sakamoto’s stunning mental and physical agility. ASYNC stands as a daring testament to this skill-set, an uncompromising portrait of an artist pushing beyond the limits of time and space in real time.